OneLankaAds is a robust and reliable platform to buy and sell used items at a fair price. Buy or sell anything from used automobiles like cars and bikes to smartphones, tablets, laptops, furniture, electronic appliances, books and more. If you want to buy anything from the above-mentioned items – here you can buy it for a cheaper price than in any other store. Our primary goal is to make the process of buying and selling simpler, quicker and most importantly affordable for the users. 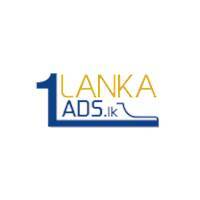 Sell or buy used items at a fast pace using our OneLankaAds platform as we allow our users to publish free ads to sell their used products at the best price. We infuse quality in everything we do and solves scathing issues with the exceptional expertise to make the platform reliable, secure and robust for our beloved users. Wait not, sell your unused items and make money or else buy the items at a fair price in the easiest only on OneLankaAds.